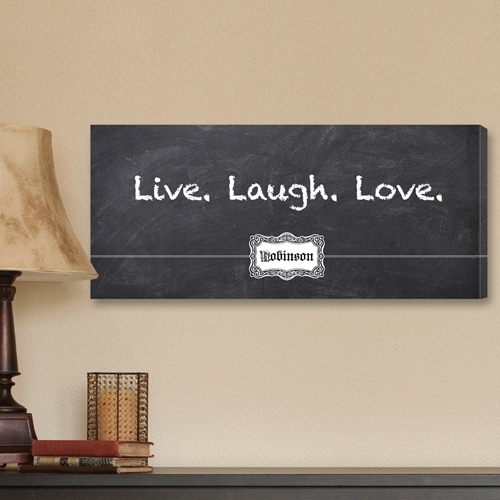 * This personalized canvas print features the popular Live, Laugh, Love quote over a whimsical chalkboard style background. * With a personalized name plate featuring the name of your choice and a chalk on blackboard font, it adds a nostalgic touch to any room. 18" x 8" x 0.5"